Kit yourself out from head to toe and look like a seasoned pro on your first shoot. Ear Protection: Hearing protection is a must on shoots. Specialised Ear Defenders offer the best protection but may be uncomfortable on warm days, in which case disposable ear plugs are also suitable. A Cap: A tweed flat cap is traditional but you can opt for a waxed cap or hat if you prefer. On informal shoots a baseball cap, in an appropriate, natural colour will protect your eyes from low sun. 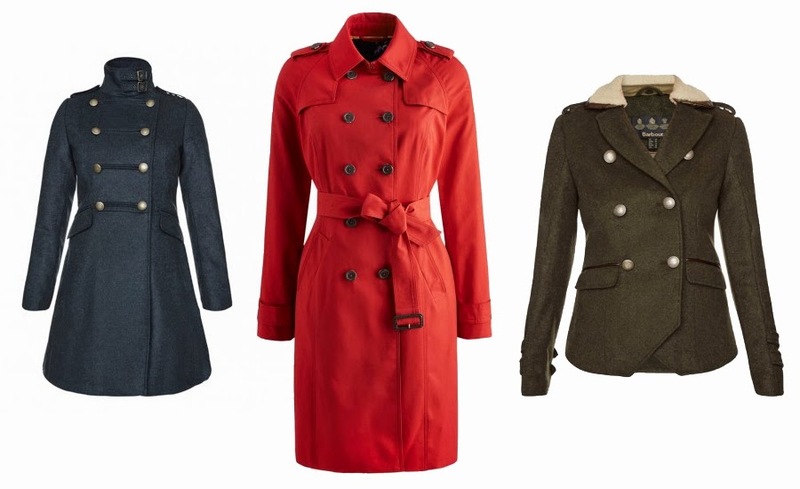 Jacket: On cold or wet days a warm, waterproof jacket will provide protection against the elements. On warmer days, a light sports blazer will also look smart and help complete your outfit for a formal shoot. Numerous options exist for every budget and weather, from high end GoreTex jackets such as Musto's Whisper and Storm Jackets (Storm jacket coming soon), to packaway rain macs such as Musto's Fenland Packaway. A shooting jacket should allow for unrestricted movement with good stretch across the back and articulated sleeves. Waistcoat: On warm days and on more informal shoots, a waistcoat can be worn as an outerlayer if you wish. 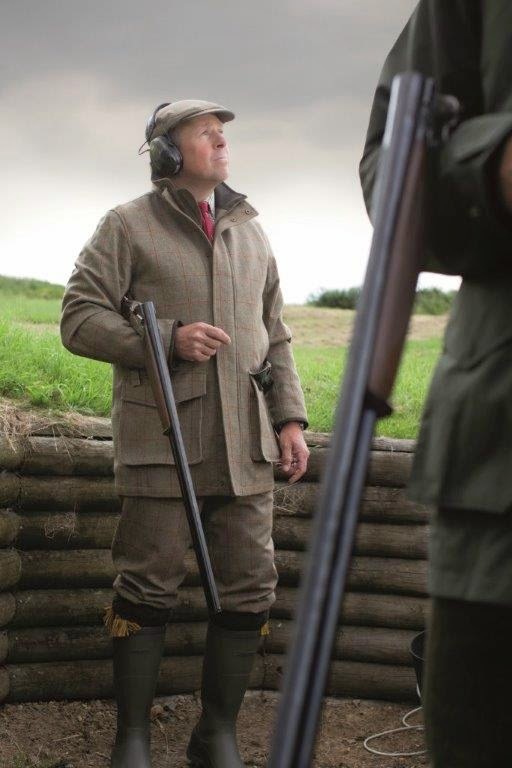 On cold days it is worn beneath the jacket as an extra layer of insulation and on formal shoots it is a smart part of a traditional shooting outfit. Waistcoats are traditionally tweed, in green - brown shades. Again, ensure your waistcoat allows for freedom of movement with plenty of stretch across the back. On informal shoots a bodywarmer will be a suitable alternative. Tie: A tie will be an essential part of your outfit on a formal shoot, but optional on informal shoots. On rainy days it will help to protect against rain droplets by securing the shirt collar close to the skin. Gunslip: On formal or informal shoots you will need to carry your gun in a Gunslip. The gun should remain sheathed until you reach your peg and be put away again at the end of a drive. Cartridge Bag: A small canvas or leather bag in which to carry your cartridges will be very useful. Shooting Socks: Shooting socks are worn knee high, meeting the hem of the breeks, with a garter to stop them slipping down. They are an important and iconic part of a shooting outfit and are where you can have some fun. There are a great variety of colours and patterns for you to choose from. Boots: When spending long hours standing in the field in all weather you need sturdy, waterproof boots with a solid sole. Leather boots are extremely popular but good quality wellingtons are also acceptable, we recommend Le Chameau or Aigle. On informal shoots a good quality pair of walking boots could be worn. This Tuesday marked the arrival of The Glorious 12th, the start of the game season in the UK, which will, for some, mark the start of the country sports season and for many others, the arrival of fresh, organic game in their local butchers shops and restaurants. But behind the scenes, working tirelessly year round to allow all of this to happen, are the dedicated efforts of the Gamekeeper. The Gamekeeper is the guardian of his land and statistics show that gamekeepers are responsible for approximately 7.3 million hectares of land in the UK (that's roughly the size of Scotland!). Their work ensures a plentiful supply of game but also the conservation of numerous indigenous species through their efforts and they manage the land in such a way that it creates a hospital environment in which flora and fauna can thrive. They also often pass on their knowledge to schoolchildren, teaching them the importance of land management, conservation and ecology. Many estates and their gamekeepers actively contribute to conservation projects such as the reintroduction of red kites and the protection of native species like stone curlew and red squirrels. The Environmental Stewardship scheme, in which many gamekeepers participate, is a scheme which offers funding to land managers to deliver effective land management with the aim of supporting the ecosystem of an area and encouraging a healthy diversity of species. Roast the grouse covered in bacon in a hot oven for 15 minutes. Remove bacon and roast for a further 5 minutes. Cut them in half and trim out the bony back. Pour 135ml double cream per grouse into the roasting dish, mix with contents and bring to the boil. Add the tablespoon of brandy and heat up again. Pour contents over the set aside grouse. This recipe is for one grouse, which will feed one or two people, depending on how hungry they are so multiply up for larger numbers. This week we've had an exciting few days of preparing our AW14 range ready to go onto our online store, we have started to receive the first of our items from Joules and Barbour and already have a few office favourites! We have also been speaking with Musto about their new A/W collection and have an exciting promotion planned with them - watch this space, there'll be more on that later! We are very excited about Musto's sporting range this autumn, with their new Storm Jacket taking centre stage. Having already generated much interest at the CLA Game Fair, this innovative Jacket has GoreTex for incredible waterproofing and many functional sporting features. It will be arriving with us very soon and we will be sure to blog and tweet about it, so stay tuned!